Every once in a while I discover and develop an image that is just uncannily familiar. From the similarity of “Pollinator” to an actual pollinator, to the “Ocean Floor” that isn’t actually an ocean floor, we see how nature follows the patterns dictated by the geometry we know as fractals. However, it is not strictly ‘natural’ things which follow fractal patterns. We can see fractal patterns in things like architecture, art, music, and… fancy china dishes! I absolutely love this image which I’ve entitled ‘Time for Tea”. To me it seems vaguely reminiscent of Alice in Wonderland and the interior of my Mom’s china cabinet. I recently printed it on metal. Here is what the digital image I created looks like. 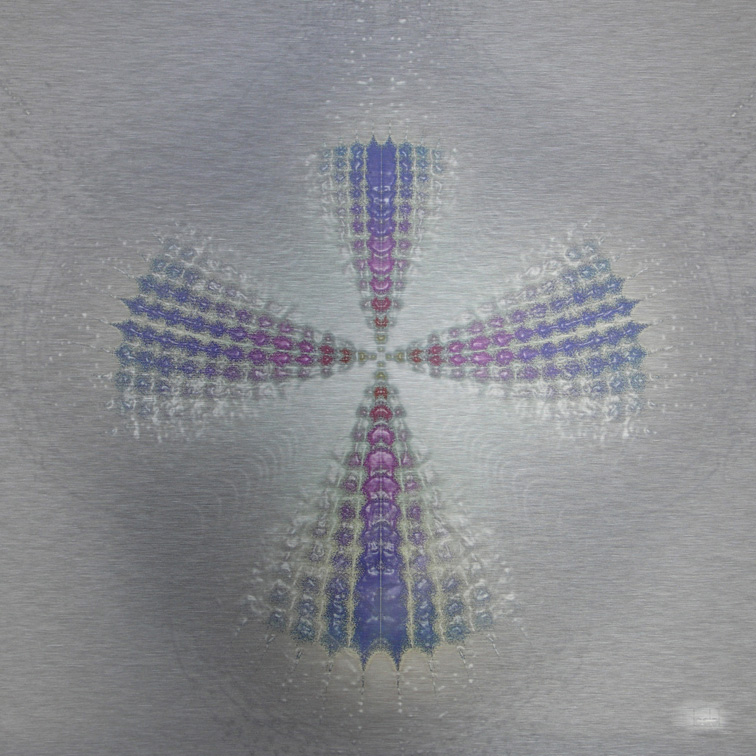 In the metal print, the white parts are silver, so it does change the look of it a little. It would be perfect in a super modern dining room, I think. To see the 24×32″ metal print, you’ll have to come out to my gallery, as it is just very difficult to photograph the reflective surface. Lucky for you, the perfect opportunity to do that is right around the corner, during the Oxford Studio Tour, May 4 & 5, 10 a.m. to 5 p.m.! Time for Tea. Digital Fractal Art. Single metal print is 24×32″. Artist Lianne Todd. Have you ever wondered if there is any other life out there in the universe? I think there must be. The universe we can see contains around 100 – 200 billion galaxies and it is estimated that is only ten percent of what it actually contains. That’s just galaxies – each galaxy contains perhaps 100 billion stars. I don’t know about you but I have a hard time wrapping my brain around numbers that large. The odds against this being the only planet to support life of some kind are huge. So, then one wonders, what would alien life look like? We’ve seen so many science fiction movies, now, where others have imagined it, and they’ve done a really convincing job. It’s amazing, really, what our minds can come up with. But what if we leave it all to the mathematics? If fractal geometry is the geometry of nature, let’s assume that all nature, not just that of planet Earth, is governed by it. 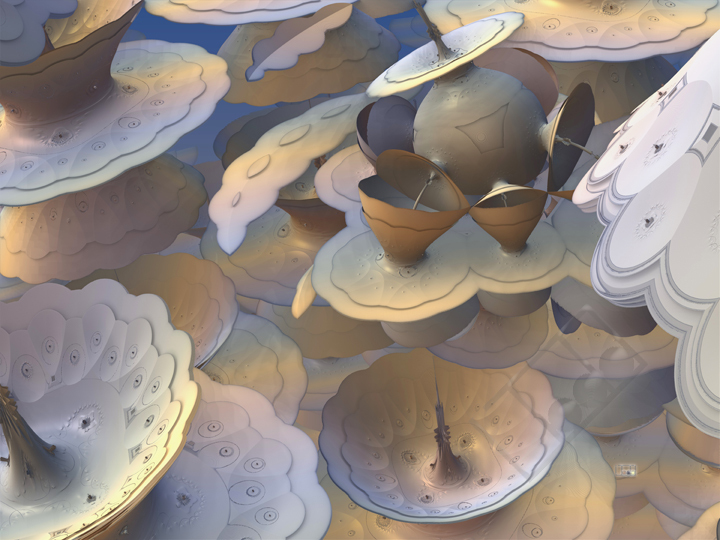 I find it really fun to create a little ‘planet’ using Mandelbulb 3D, and then explore it, finding scenes that remind me of Earth. I’ve done this before with ‘Climb it, Change’, ‘There is Always a Bridge’, ‘No Port in Sight’, ‘Ocean Floor’, and many more that I haven’t shown anyone yet. This one I call ‘Coniferous Tree on Planet B’. Obviously the ‘coniferous tree’ isn’t the only bit of vegetation on this particular ‘planet’. I see vines, and cabbage-shaped types of vegetation, and driftwood – but you might have to come see the piece in person to appreciate all that. 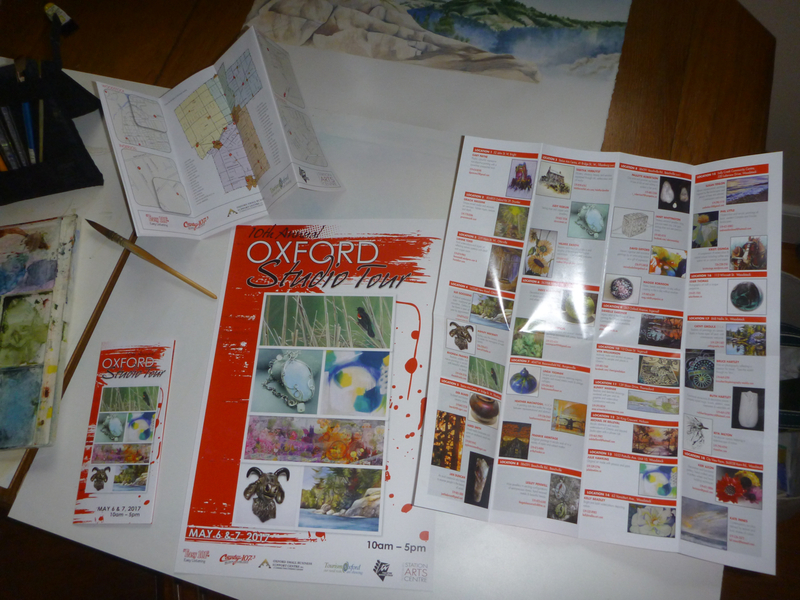 Next weekend is the 11th annual Oxford Studio Tour and I am at Location #4. Why not come out and see it for yourself? This is the first piece of fractal art I’ve created and shown that isn’t square, but rather a landscape format. I hope that doesn’t throw anyone off! I cannot wait to show you this latest piece in person. Some images conjure up abundance, richness, and decadence, and this is one of those images. There is plenty here for your own imagination to work on, but you won’t be able to properly see it unless you come to my studio! Lucky for you, my studio is often open, all you need to do is contact me. But even luckier, there are a whole bunch of studios open on May 5 & 6 in Oxford County, and mine is one of them! I am at Location #4. This image you see here is a mere fraction of the size I have printed it – 24 x 24 inches. As usual, I only have one print made of each fractal piece, on metal (or sometimes acrylic), so each is an original. Although, I think this would make a great metal album cover don’t you? There exists a very old phrase, ‘as above, so below’. Its meaning is interpreted in various ways, depending on where you look. Its source is generally attributed to Hermes, though according to some, it is probably even older than that. Isaac Newton translated the Emerald Tablet’s passage as follows: ‘That which is below is like that which is above & that which is above is like that which is below to do the miracles of one only thing’ (according to Quora). I don’t know exactly where I first heard the phrase, but it certainly popped into my head a lot as I began to explore fractal geometry. The more I learn about fractals and about the cosmos, the more I see similarities between large scales, like the universe, and small scales, like an atom. Perhaps an easier example to envision is the similarity between say, a river drainage pattern and the venation in a leaf. After all, fractals are often self-similar on smaller and smaller scales. It is one of the ways in which fractal geometry was discovered by Benoit Mandelbrot. My cursory understanding of such things, as an artist whose education was mainly in biology, does not diminish my enthusiasm for humanity’s search to find a Theory of Everything. Whenever I see a Physics article in my various news feeds, I am struck by either their use of illustrative images which I recognize from experience as being generated fractals, or how much the actual images generated by their physics experiments resemble generated fractals. Maybe someday the ideas will all fit together. Until then, I will continue to happily make my art and notice how in reality, sometimes it is tricky to know what the scale of an image is. This piece will be on display in my gallery this weekend during ‘Welcome Back to Otterville’, our town’s 21st annual studio tour. Please visit www.WelcomeBackToOtterville.ca for details of the tour, including maps and times. I posted at length about our ‘Welcome Back to Otterville’ studio tour yesterday on my watercolours blog, and I wanted to make sure everyone who subscribes to this one knows about it too. There is a press release contained within that blog post, if any local journalists would care to deliver our story to their reading public. This is our 21st annual tour (the 12th one I have lived here for), and every year it is slightly different. The tour was founded by my good friend Sue Goossens, pictured here with me. As you can see, she is also a very talented watercolour artist. Our website is www.welcomebacktootterville.ca, if you’d like to see who else is on the tour. If you are unfamiliar with my art, you may also see a good sampling of it here, and here. I hope to see you here in Otterville, Ontario on November 18 & 19, from 10 to 5 pm. It would make a great, stress-free day-trip for anyone in the area of London, Stratford, Kitchener-Waterloo, Guelph, Hamilton, Simcoe, St. Thomas, and all points in between or south to the lake. Look for the yellow flags, and I’ll be waiting in my gallery with some hot cranberry wassail! 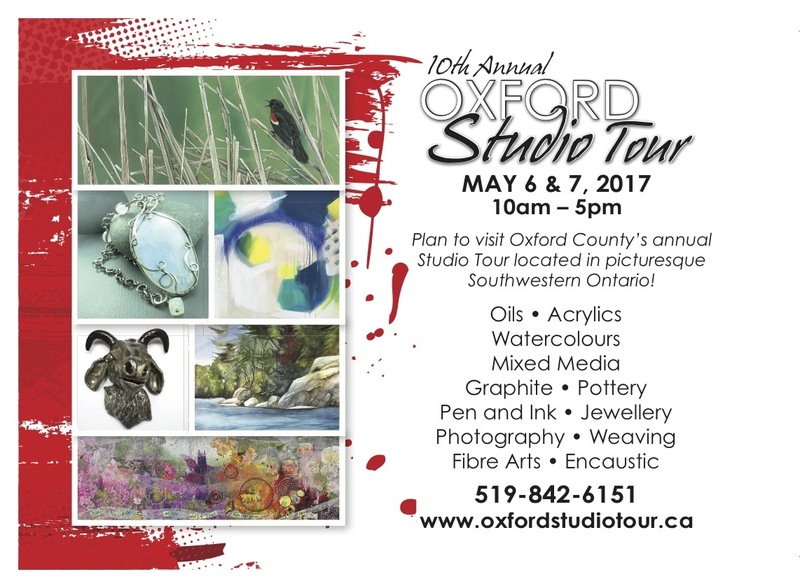 Hey everyone, the 10th Annual Oxford Studio Tour is this weekend, May 6 & 7! That’s just in case I haven’t reached you yet… I have been so busy promoting the tour on its website, and on Facebook and Twitter, I almost forgot to post on my own blogs! 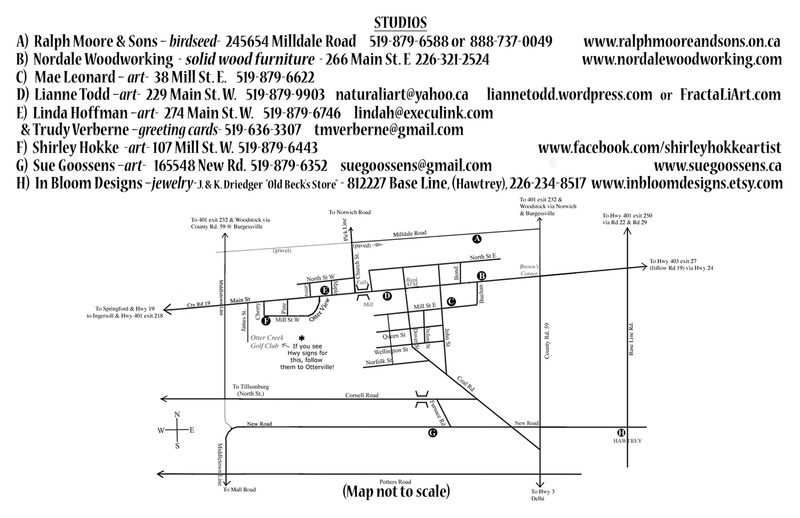 As you may know, my gallery/studio is Location #3 this year. There is another near me, Location #4, and we are always happy when studio tourists make the trip out to the southeast corner of Oxford County, Ontario, to see us. Here is a peek at what you’ll find when you get here. It has been a while since I’ve blogged about any new pieces here… I was focusing on my traditional watercolours for the winter, although I did have a piece or two I hadn’t introduced. For instance, there is this one which I called ‘Swiftly Tilting’. I had just read the whole Madeleine L’Engle series for the first time, so this image conjured up that title – you can imagine why! 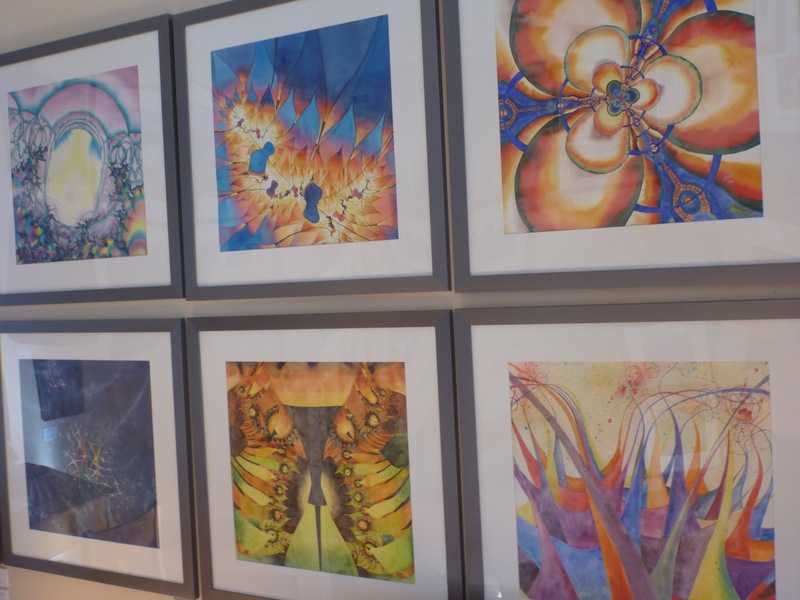 This is another one of my hand-painted pieces of fractal art – a watercolour on Aquabord. (Image here is watermarked). It is in a handmade black shadow-box frame (not shown). I’ve created THREE new pieces that will be ready for visitors to see on the Oxford Studio Tour! It’s May 6 & 7 this year, and it is our 10th year for the tour! I am Stop #3 this time. I will be keeping the new pieces, (2 metal prints, 1 acrylic print) under wraps until the tour, because sometimes it is just better if people have the chance to see the art in person first. Earlier this year, I was the one updating our website with all of this year’s locations, artist blurbs, sample art images, and maps. It’s going to be a great tour, and there are even more reasons to come to Oxford County what with part of Big Cheese Days happening the Saturday of that weekend too! Gunns Hill is right on the way down to Otterville from the 401 and their cheese is delicious! It has been a very busy year of creating and exhibiting so far, and I hope that continues. I look forward to the tour, and to a more active year of blogging about my art too! 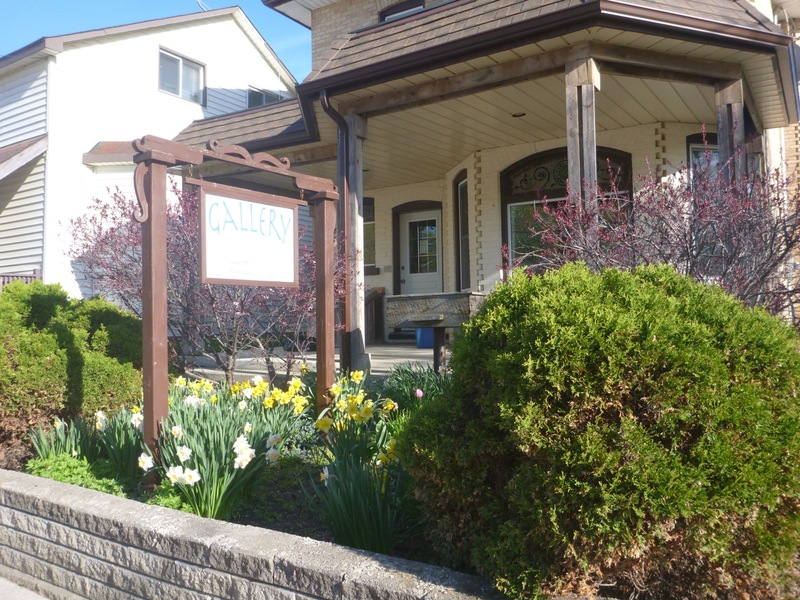 It is time again for those of us who are artists, artisans and specialty shopkeepers in the little town of Otterville, to open our doors and welcome visitors from all over Southwestern Ontario. 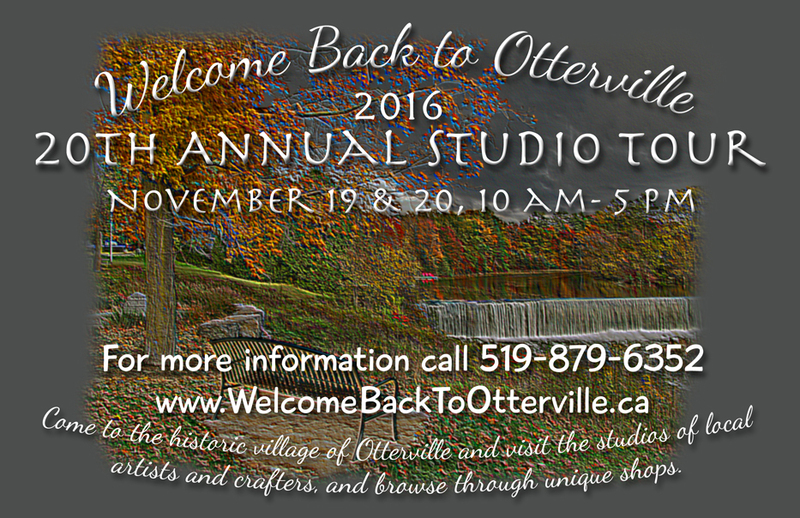 This is our 20th year holding Welcome Back to Otterville, a studio tour that was founded by my good friend Sue Goossens years before I moved here, and continues to change and evolve as do the participants. A press release for our tour follows – please feel free to publish the release as we are on a limited advertising budget! We are very grateful to Ashlyn Kernaghan for writing this up for us. 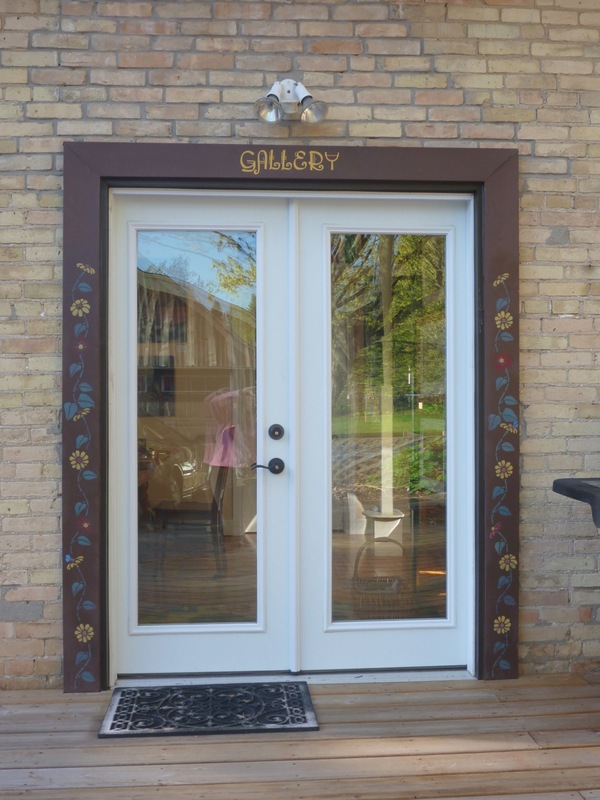 On the weekend of November 19th and 20th, the artists and crafters who call the historic village of Otterville home will be opening up their doors for the 20th annual studio tour. Visit Otterville and browse through unique shops and studios. Meet the artists and experience a world of creativity. Studios and shops are open from 10am – 5pm and each day and the event is absolutely free to attend. 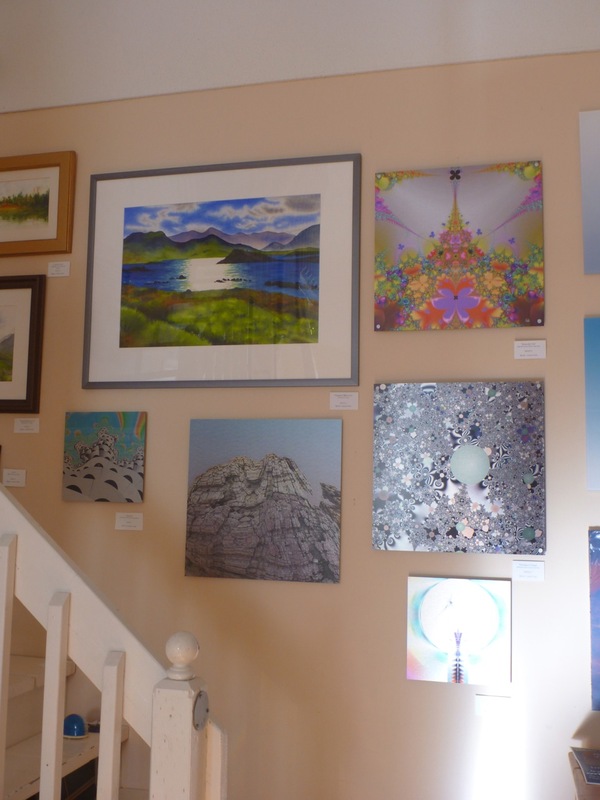 This year the studio tour includes 6 local artists – watercolours, oils, acrylics and mixed media – who will showcase the best of their best throughout the weekend in their homes or studios. 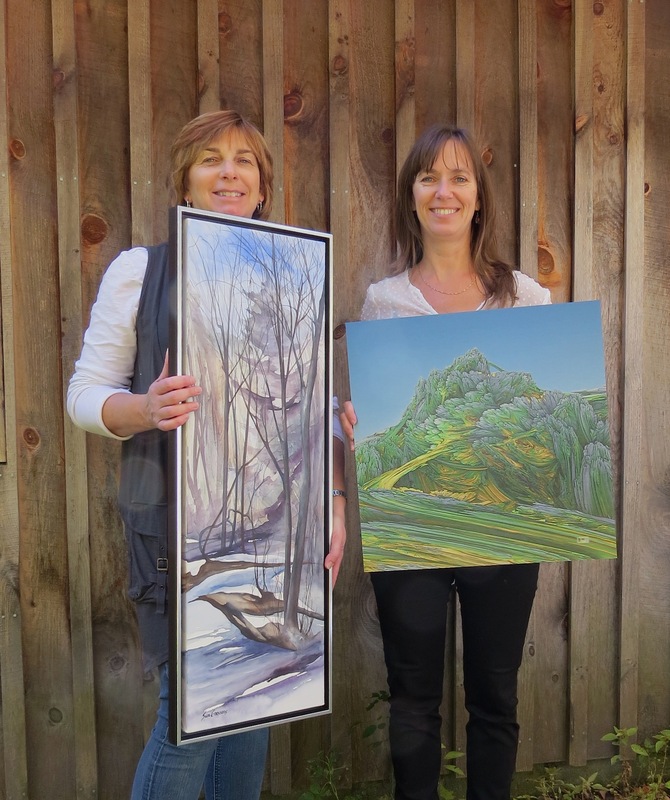 The participating artists include Mae Leonard, Lianne Todd, Linda Hoffman, Trudy Verberne, Shirley Hokke, and Sue Goossens. In Bloom Designs featuring the jewellery of Jillian Driedger will be in the old general store in Hawtrey. Ralph Moore & Sons has a large selection of bird seed and feeders and all things bird! Shawn Pinnoy, owner of Styx and Skids, and Nordale Woodworking are new to the tour this year. Shawn Pinnoy creates up-cycled decor including wreaths, bird houses, barn board signs and much more. Nordale Woodworking, owned by Bryan Mertens, specializes in the production and sales of solid wood furniture and outdoor poly lawn furniture. Nordale Woodworking is open all year. All participants on the tour live in Otterville and area and create their own unique products or own a shop in town. The event has evolved throughout the past 20 years with three of the original participants still on the tour – Sue Goossens, Linda Hoffman and Shirley Hokke. This self-directed tour provides the opportunity to personally explore the creative approach of various artists, along with the chance to wrap up some Christmas shopping. Tour participants can visit as few or as many of the artists as they wish, over one or both days. The Otter Creek Golf Course club house will be open for lunch Saturday and Sunday. Welcome Back to Otterville brochures and maps can be found at participating sites, the Station Arts Centre in Tillsonburg, and online at http://www.welcomebacktootterville.ca. Look for yellow flags that mark the studios. Styx and Skids is not on the map, but can be found just around the corner from Linda Hoffman’s studio, on Grove St. Here is the map of the tour. Hope you can make it out! I think I have mentioned before how I see many fractals as somewhat archetypal in nature. We have, in our decorative past, incorporated many motifs that turn out to be quite common in fractal geometry. The swirls and whorls, the spirals and branches, the radiating patterns… it is like we knew about fractals before we knew about fractals. But of course we did, didn’t we? Because fractals are the shapes of nature, and we are a part of nature ourselves, and surrounded by it. We noticed the regular and irregular natural patterns around us and we appreciated them. We began to find them beautiful. Then we began to associate them with ideas, and some of them became symbolic. 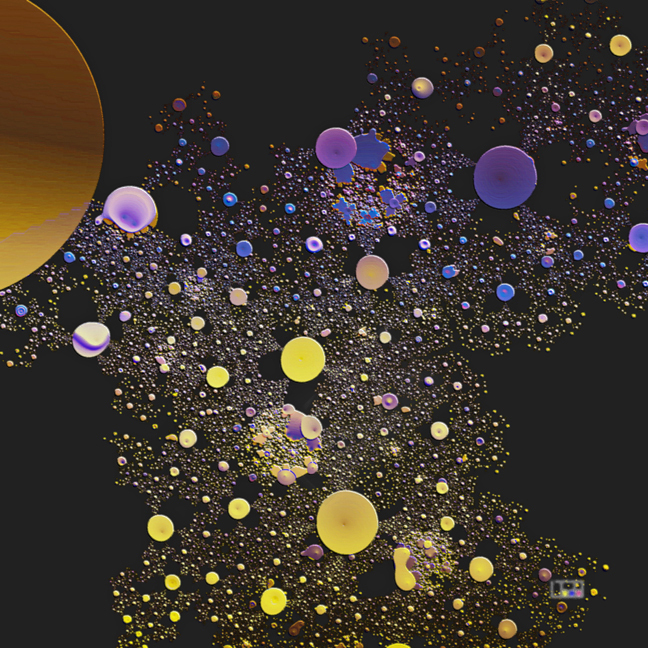 This particular fractal is one of those ones that seems to be archetypal. Of course the cross shape, as a symbol, is much more ancient than the Christian religion. This is more complicated than a simple cross, though. What other associations does your mind bring to this image? Symbol. 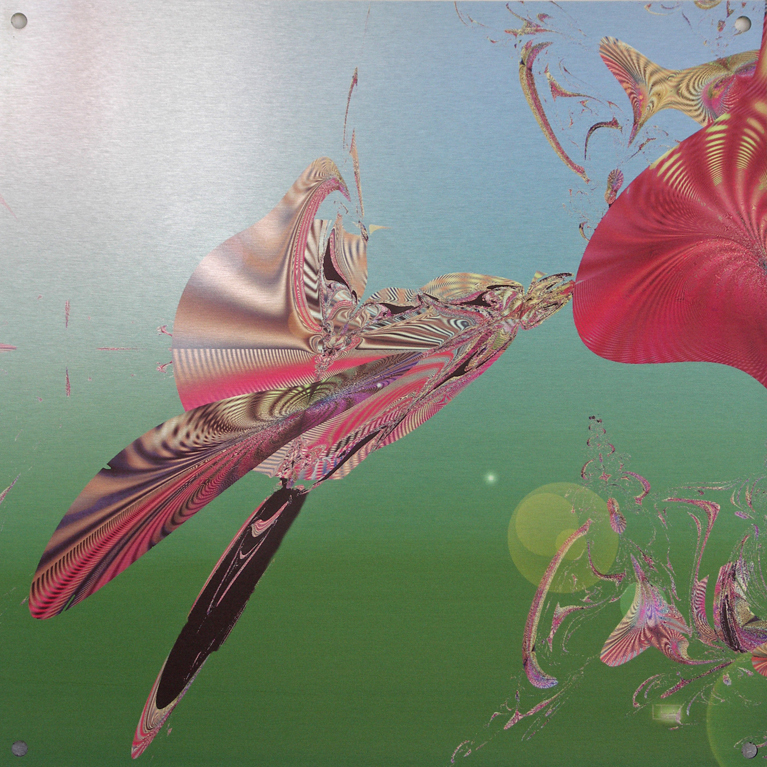 Digital fractal art on metal. Single edition print. 16×16″. Artist Lianne Todd. Private Collection. 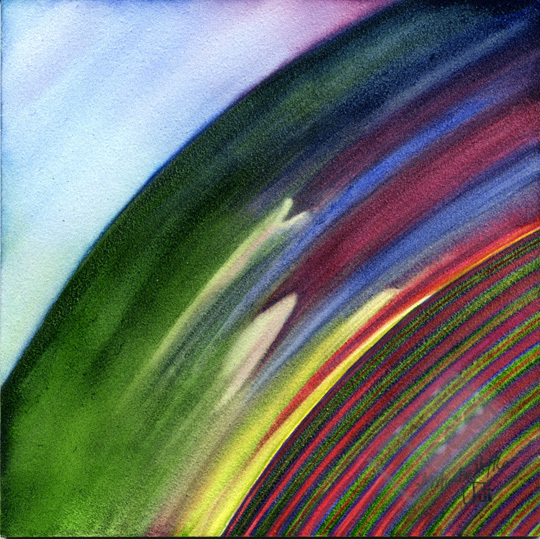 I hope you’ll come out to my studio this coming weekend during the Oxford Studio Tour to see this piece and more. 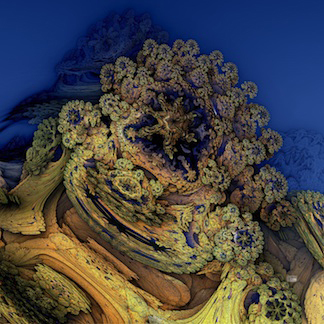 I’m excited to have some new fractal art to show you in a week at the Oxford Studio Tour. 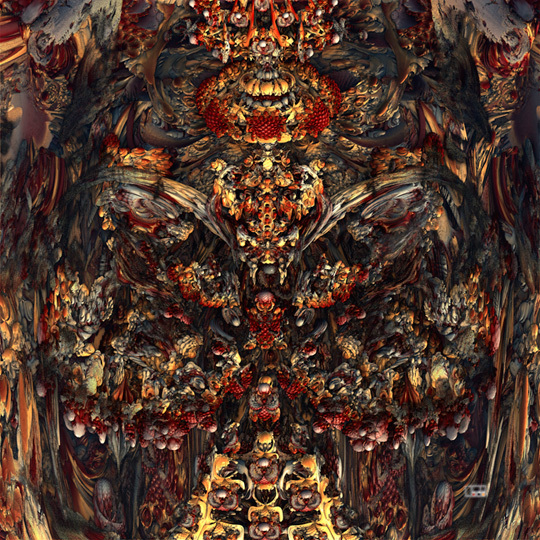 Here is a preview of one of the fractals. I have printed it (using Posterjack) on metal, 20×20″ and that is the only print I will do, so it is an original piece. 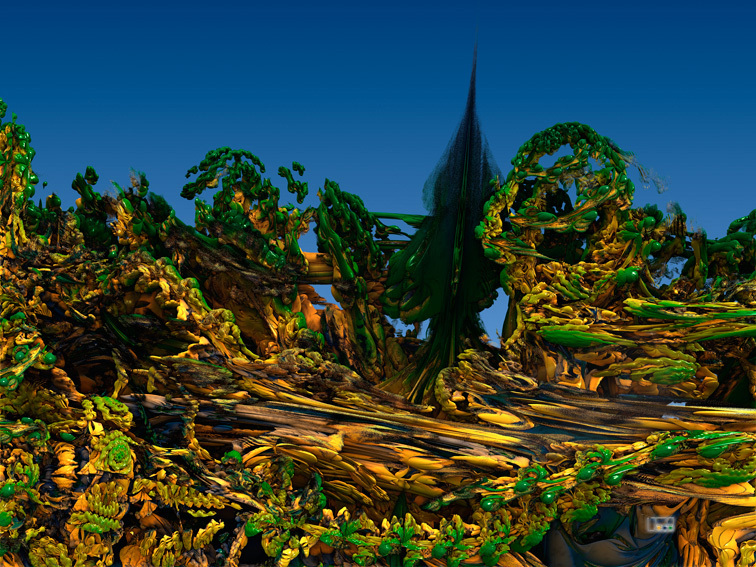 It is created digitally using the Mandelbulb 3D software. As I find usual and striking for fractals, it looks very natural. It is pretty obvious what I thought it resembled! I hope you’ll come and see it. I think it would make a great piece to gaze at from anywhere in your house, while you consider nature and its mysteries, and it draws you in close, as well – as all fractals do with their self-similarity on smaller and smaller scales. There is always a br… on There is always a bridge.